Flipping through the latest issue of Better Homes and Gardens this weekend, I came across their new contest – Pin & Win – My Better Homes and Gardens Dream Home. The rules are easy – create a new board on your Pinterest account titled – “My Better Homes and Gardens Dream Home.” You can only pin photos from Better Homes and Gardens website and you must have at least 10 photos on your board. Here are all the rules and the frequently asked questions. 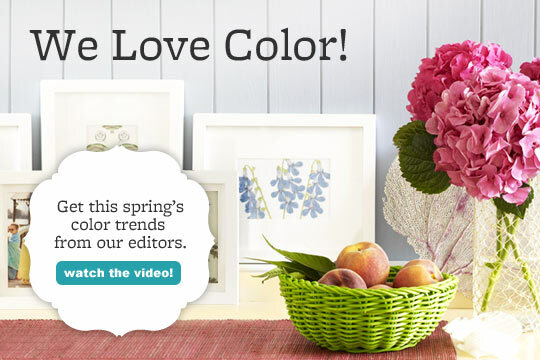 You need to “like” the Pin & Win Better Homes and Gardens page on Facebook to enter- but DON’T like this until your board is complete on Pinterest. Once you enter – that’s the board they will be looking at and judging. Contest runs until May 4. Prizes: Ten finalists will get $100 gift cards and a grand prize winner will receive $4,000. I had a great time creating my Dream Home board. This is a picture I found for my Dream Kitchen. So amazing! It’s my signature color. I actually already own the green le creuset pots – but must look for those cute dog bowls! 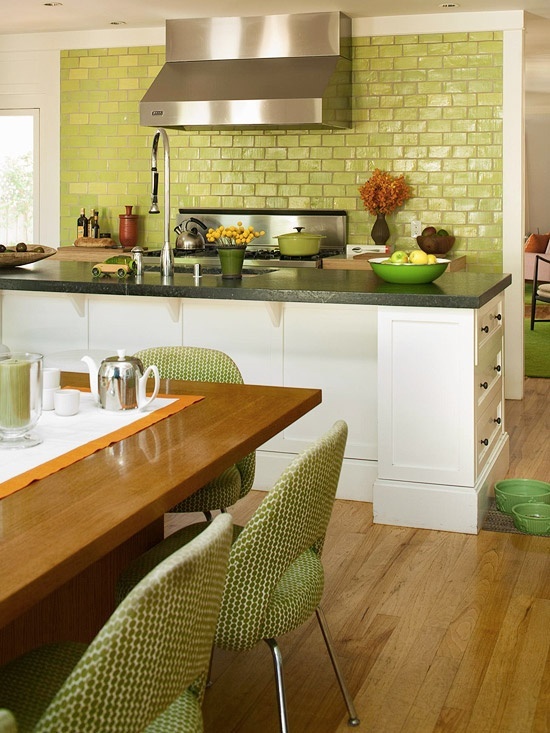 I absolutely love the green brick and how the counter tops around the stove are cutting boards. An island with a sink and drawers on the side – perfection. Ample room for a table so all can gather not just to eat but hang out while the meals are being prepared. Want to check out the rest of My Better Homes and Gardens Dream Home? Check out my Pinterest account. Did you register for this contest? Share your Pinterest link in a comment below. This is my favorite kind of green too. Such a happy color. Yes – love it – I would sit in that kitchen all day if it was mine! Thanks for reading Jessi! Thanks again for the nomination. Did you end up entering the contest? Yes I did. Thanks for the tip! I have been working on this contest on Pinterest for the past few days. I love it! I checked out your Pinterest board – your dream home looks great!! I had so much fun doing this too.